Texas betony is a striking plant native to the Trans Pecos region of West Texas and it makes a great addition to Central Texas landscapes. Texas betony looks and feels especially at home in Hill Country gardens with rocky outcrops, where limestone boulders are commonly found half buried, or even lying on top of the ground. 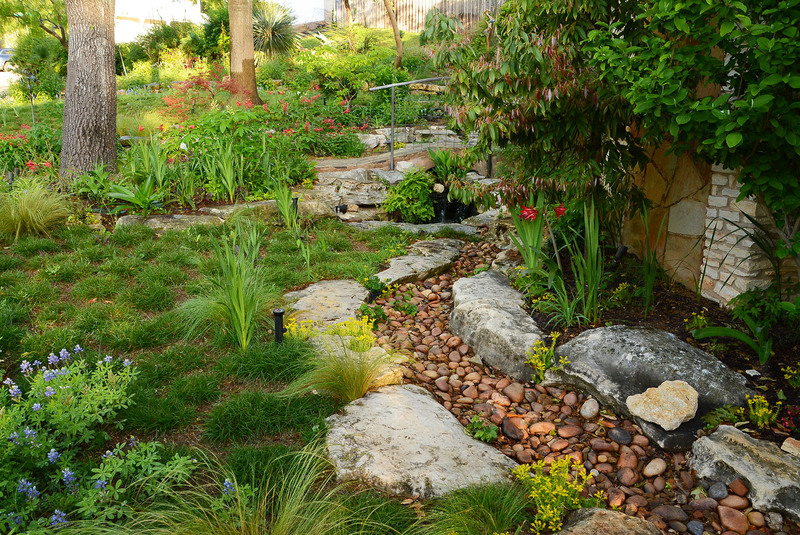 Virtually no irrigation is needed once the plants are established, and there’s definitely no need to fertilize. Texas betony is listed as hardy to zone 7, and is often evergreen in our normally mild, Central Texas winters. If it does freeze back, simply treat it as a perennial, shearing it to the ground in early spring. You might notice the striking resemblance of Texas betony to its more commonly planted relatives, the Salvia species. 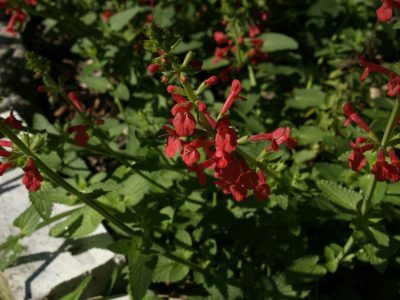 The flowers of Texas betony are a deeper, more scarlet red than the Salvias, and the bloom stalks shoot further skyward, up to almost 3 feet. 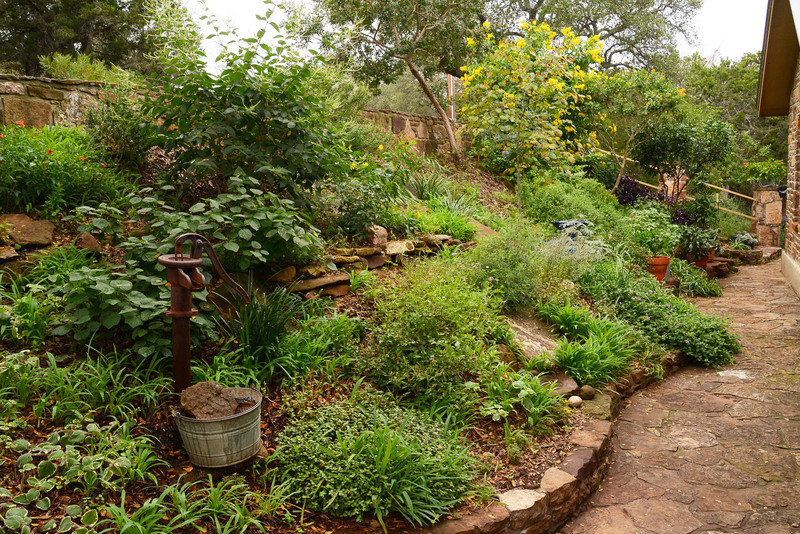 Our friends at the Native Plant Society of Texas list this plant as deer resistant once established, and that’s due to the pungent scent of the leaves that gets stronger as the plant matures. Shear back regularly in summer, to encourage more of the striking blooms.